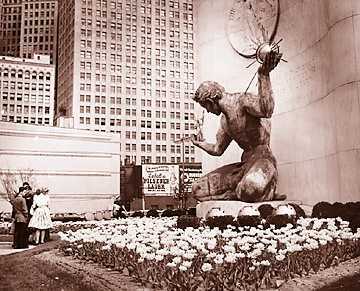 I finally got around to reading my copy of Michigan History magazine the other day, and the feature article is on the sculptures of Marshall Fredericks. 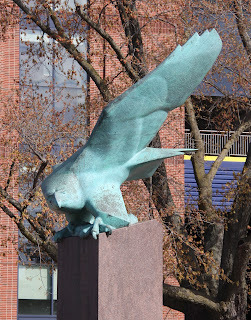 He was a very celebrated and prolific artist, with around 450 commissions here in Michigan, including the American Eagle sculpture at the entrance of the Big House. 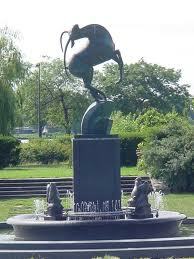 The largest of his sculptures include the Spirit of Detroit, and Christ on the Cross in Indian River. 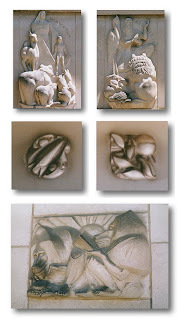 Marshall Fredericks met one of his most admired artists, Carl Milles, while studying in Europe. He worked with him for awhile in his studio outside of Stockholm, and then continued his European tour. In 1931, Milles became the resident sculptor and director of the sculpture department at the brand new Cranbrook Academy of Art in Bloomfield Hills. He invited Fredericks to move to Michigan from his position at the Cleveland School of Arts and assist him. In 1936, Fredericks won a national design competition to create the Barbour Memorial Fountain at Belle Isle--which was his big break. He worked from then, until right before his death in 1998, on his sculptures, including an 86-foot-high stainless steel arc with bronze figures that was installed at Milles' burial site in Stockholm, Sweden. 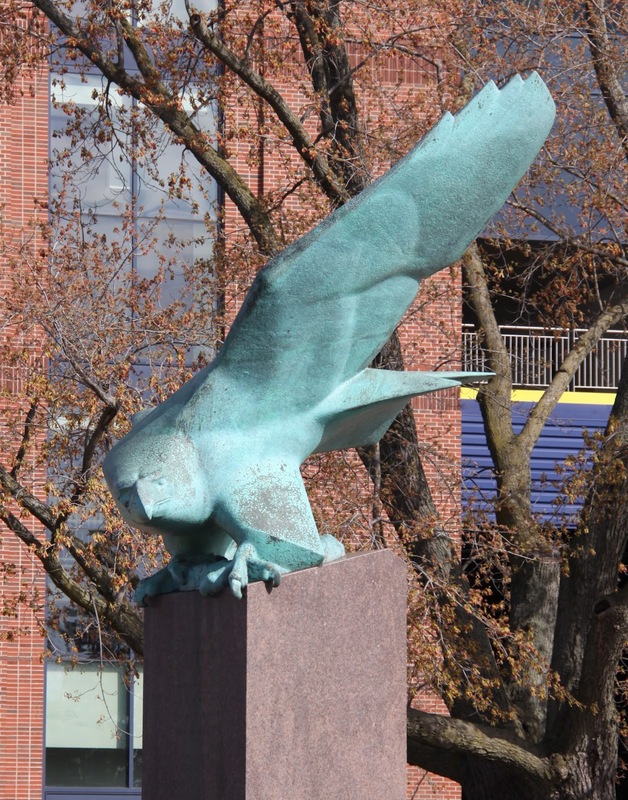 The Detroit News noted that the "Ann Arbor Eagle," sculpted in 1950, sits at the entrance to the football stadium. It represents an important theme in Fredericks' work, remembering the veterans of World War II. The eagle holds a wreath in its talons in memory of the students who died in the war. Since Fredericks fought in the war himself, this subject remained important to him throughout his career." 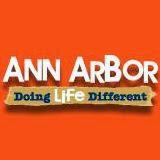 Check out Arborwiki for more information about other works of his in Ann Arbor, including the location of the above 'controversial' reliefs.